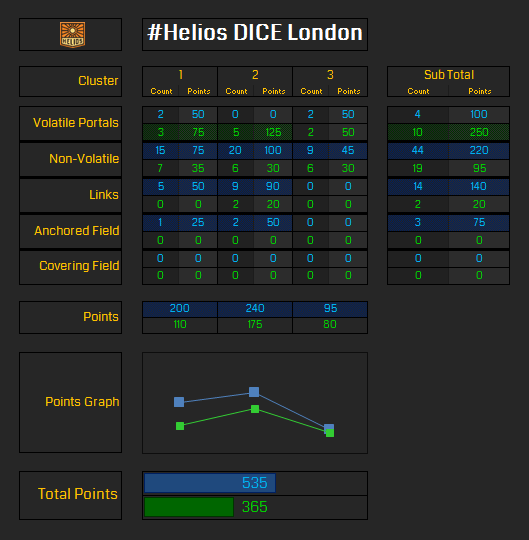 The Resistance lead in all three measurements to win the #Helios DICE anomaly by 170 points and earn 1 more Helios Point. There are 19 Helios Artifacts remaining worth 1 point each and Helios anomalies 09 and 10 are worth 4 points each leaving a total of 27 points still up for grabs. 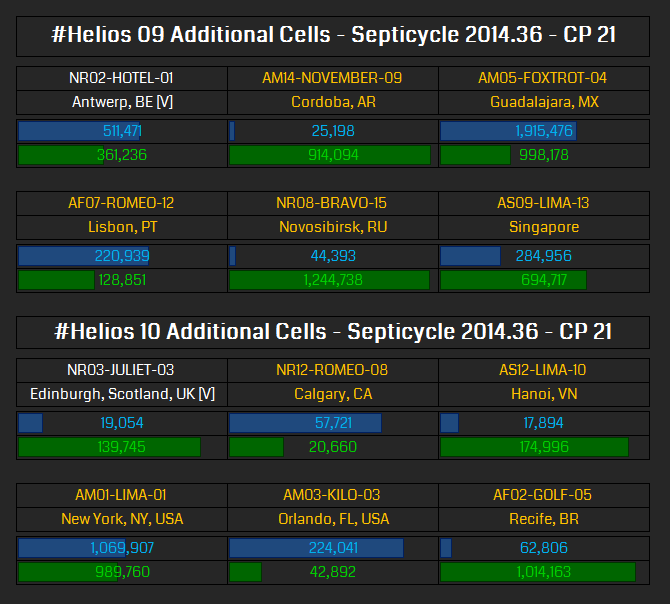 *The rules for Helios 10 haven’t been released yet, so I am still unsure if it is going to be Septicycle 36 or 37 counting towards the results but if the anomaly starts at the usual time of 2pm local time, the first checkpoint of cycle 37 will be the only one that counts. If it starts only 1 hour earlier, all of cycle 36 will count.